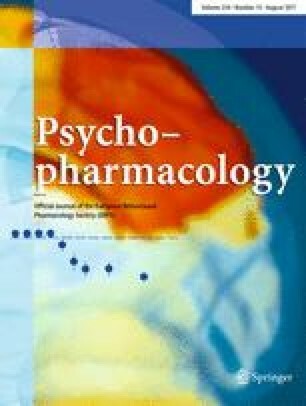 Liking, cravings and addiction for chocolate (“chocoholism”) are often explained through the presence of pharmacologically active compounds. However, mere “presence” does not guarantee psycho-activity. Two double-blind, placebo-controlled studies measured the effects on cognitive performance and mood of the amounts of cocoa powder and methylxanthines found in a 50 g bar of dark chocolate. In study 1, participants (n=20) completed a test battery once before and twice after treatment administration. Treatments included 11.6 g cocoa powder and a caffeine and theobromine combination (19 and 250 mg, respectively). Study 2 (n=22) comprised three post-treatment test batteries and investigated the effects of “milk” and “dark” chocolate levels of these methylxanthines. The test battery consisted of a long duration simple reaction time task, a rapid visual information processing task, and a mood questionnaire. Identical improvements on the mood construct “energetic arousal” and cognitive function were found for cocoa powder and the caffeine+theobromine combination versus placebo. In chocolate, both “milk chocolate” and “dark chocolate” methylxanthine doses improved cognitive function compared with “white chocolate”. The effects of white chocolate did not differ significantly from those of water. A normal portion of chocolate exhibits psychopharmacological activity. The identical profile of effects exerted by cocoa powder and its methylxanthine constituents shows this activity to be confined to the combination of caffeine and theobromine. Methylxanthines may contribute to the popularity of chocolate; however, other attributes are probably much more important in determining chocolate’s special appeal and in explaining related self-reports of chocolate cravings and “chocoholism”. H.J.S. was supported by a grant from Reading Scientific Services Ltd, Reading, UK.